The ever brilliant ears over at Walnut Tree Records have done it again; Rob Lynch (formerly Lost On Campus) has released an EP, that has delivered on a big scale with the potential that he’s been tagged with for the past couple of years. Kicking things off with ‘Hawking,’ you can tell straight away that the quality is a real step up from his previous releases. There is an ever so slight Frank Turner vibe, not enough to call it a rip off, but enough to see that there is an influence there, more noticeably in the chorus, where you can easily envisage a room full of people singing along. Next up is ‘Souls,’ a song that might divide a few simply due to the scratching of the frets, it’s a something that’s down to preference and as the song reaches its conclusion, it becomes barely noticeable, however if that was to put you off, then rest assured it doesn’t become as prominent throughout the rest of the EP. As soon as ‘Plans’ begins you will have forgotten all about it anyway, because it’s a song that is in all honesty absolutely lovely. 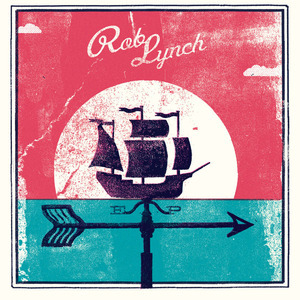 It’s the sort of acoustic ballad that Rob Lynch does so well, featuring the vocals of Hero Baldwin. This a song to get you teary eyed and smiling like an idiot at the same time. It’s the last two songs on this EP that show Rob off for the talented songwriter he is. First up is ‘Sleeping,’ a song that is so delightfully acoustic pop, it’s catchy and well written. There’s handclaps a plenty and some cheeky strings thrown in for good measure too, it’s probably the best song he’s written to date, some may disagree though, but only because the final song on the EP is the long awaited recording of ‘My Friends & I’. It’s a song that means a lot to a fair few people, and this recording in all honesty is absolutely huge, it will be his defining anthem, and so be it because it’s brilliant. 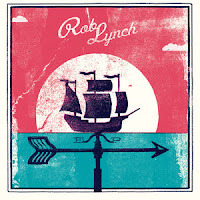 'Rob Lynch' is out now on Walnut Tree Records.